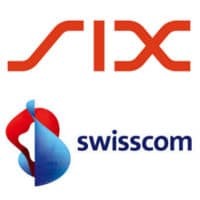 Switzerland’s financial infrastructure operator SIX and telecommunications provider Swisscom have partnered with a number of banks in the country to establish a nationwide mobile payments service that would enable consumers to make in-store mobile payments at retail locations using either NFC, Bluetooth Low Energy (BLE) or a combination of both, SIX has told NFC World. Participating banks include UBS, Zürcher Kantonalbank, Banque Cantonale de Genève, Banque Cantonale Vaudoise, Luzerner Kantonalbank and Raiffeisen. The service will be based on a mobile app called Paymit that was launched by SIX in partnership with UBS and Zürcher Kantonalbank in May 2015 as a P2P transfer service that lets users send and receive funds using credit stored in a Paymit account. In-store payments will go live in early 2016 following a pilot in September, with value-added services including loyalty and offers expected later. “Right now, we are preparing to use the payment app in-store but it’s not yet certain what technology we will be using,” SIX told NFC World. “We are looking at NFC and we do have an advantage there because all of the terminals rolled out by SIX have NFC technology in them, so that will be the most probable technology to go ahead with. “We believe in the Swiss financial centre and want to create a Swiss solution that can act as a counterweight to international players,” says Swisscom CEO Urs Schaeppi.